NLP Secret and the pages flowing from it are for you if you are, or wish to become, an NLP enthusiast. A large number of the articles on the site are what I might call problem based: that is to say, if you suffer from anxiety, depression, are overweight, etc, the article will suggest a solution for you. But the pages that relate to this one will deal with NLP interventions that might be appropriate in a range of circumstances. So you will be able to learn what I might call NLP methods to have at your disposal and be able to apply when necessary. Might I nonetheless sound a word of caution at this stage. The information provided is either to give you a general background about NLP or to assist you, if you are studying to become or are already an NLP practitioner. 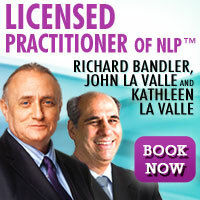 It is no substitute for attending an NLP Practitioner Course. The qualification of Licensed Practitioner of NLP is an absolute basic step and you should avoid any course that promises to teach on line or is paper based. 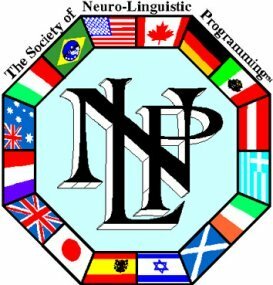 The only real way to learn NLP is by attending a face to face practitioner course preferably taught by a co-creator of NLP or one of their certified trainers. Another note of explanation. You will see reference here, on other website pages, and in various publications to NLP remedies, or NLP interventions or even (heaven forbid!) NLP “therapies”. Those descriptions are, at best, imprecise and, at worst, misleading. What the creators of NLP did, and continue to do, is to look at what works and replicate it. Not all the suggestions made will work for everybody but they will work for a large number of people. If they don’t, we go on until we find something that does. Let us take a very simple example. I have a client who, for these purposes, I will refer to as Rebecca. When she was about 14 years old something happened at school one day that unnerved her. It wasn’t a major event. Nothing that hasn’t happened to every single one of us. There was some sort of upset in class and a teacher became angry. The next day Rebecca refused to attend school. Her parents coaxed her, pleaded with her and sometimes drove her to school. Sometimes she would stay but on others she would be sent home during the school day because she was feeling unwell. As time went on the absences became greater and the days attending class were fewer, until Rebecca felt she didn’t really want to leave the house very much at all. On school days she would wake up feeling unwell. The last two years of Rebecca’s school life were seriously disrupted and there were very long absences. Rebecca was, however (and is) a very bright young lady, and when it came to taking her examinations still managed to graduate, although only just. By the time Rebecca left school she had lost a considerable amount of confidence. An NLP practitioner faced with this situation would look to see how well-adjusted youngsters of Rebecca’s age were behaving and identify what Rebecca was doing differently. Rebecca was helped by NLP techniques and in due course went on to sixth-form college and university and graduated with a good degree. She lives a balanced and interesting life and is particularly sympathetic at helping others with similar behavioural difficulties. Whatever happened at school that day skewed Rebecca’s view of the world and her behaviours changed. Once we learn that these things are behaviourally based and can show the client that she is not suffering from an illness, then she is well on the way to a speedy recovery. When a client is shown that she can adjust sub-modalities and feel differently, then she knows that she can control whatever is bothering her and that it does not have control over her. In this particular case, Rebecca was helped also by the use of her timeline. It was possible with that simple method, that takes the client instantly into trance, to transport her back to a time before the classroom incident when everything was fine. 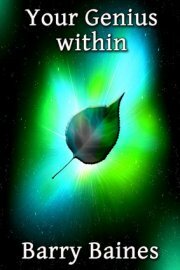 She was able to re-experience everything that was going on then, and pick up the strengths and skills she had then and bring them into the present moment. Rebecca was also able to recall the way she interacted with friends, the various social activities that she participated in and how confident she then was. Armed with those feelings in the present day, she was able to pick up those friendships again and once again became the party animal she was before. Set out below you will find a list of pages that appear on this website that will explain a variety of techniques that have been shown to work and some of them will have accompanying examples and real life stories, although names will have been changed to protect the clients. Keep coming back to this page because the list will grow and from time to time you will find new and different techniques from a variety of sources. Some of those techniques will have been created or used by people who are not themselves practitioners of NLP, but if the technique seems to us to work at least on a large number of people, we will include it and attribute it as appropriate. Likewise, if you have used techniques successfully and you do not find them included in these pages, please write and let us know and we will consider publishing them and acknowledging your contribution. Alternatively, if you would like to write an article setting out the technique and real life examples of how it has benefited your clients, please do so and we will consider it for publication in your name. In the meantime, here is the current list of relevant articles.